Five years ago, no one I knew was talking about Mexico City and now it seems everyone is in on the secret. Mexico City has everything going for it and is an effortless escape for a dose of something comfortingly familiar yet unique in its own way. It’s an easy hop over for a long weekend for those living Stateside. For those traveling in from further away, ensure Mexico City is a stop on your visit to North or South America. 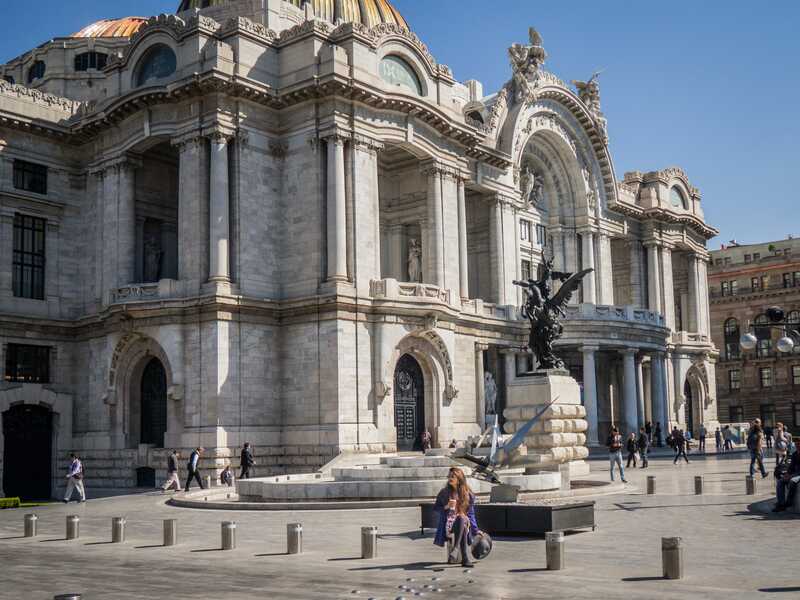 With its explosive food scene, trendy bars, grand tributes to ancient civilizations and diverse neighborhoods, Mexico City is everything you would want for a quick urban getaway. 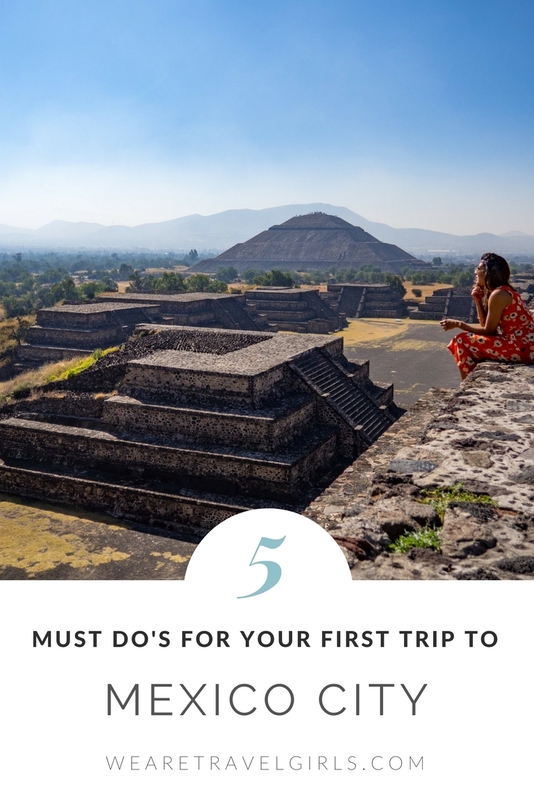 In this article I share 5 things you must-do on your first trip to Mexico City! When I asked fellow tourists who have come back to Mexico City on multiple occasions why they chose to come back, the answer was unanimous. The food! And I could see why. 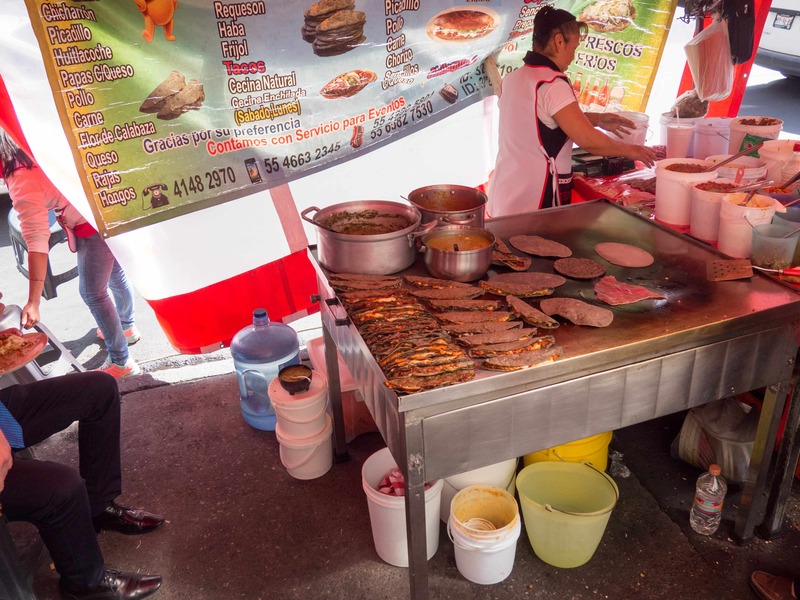 While I had known I was a fan of the Americanized version of Mexican food, eating my way around Mexico City gave me a whole new appreciation for the flavor and drama of Mexican food, evident in every bite. Calling the restaurant scene in Mexico City happening would be an understatement; apart from the world-famous Pujol, there are plenty of restaurants fusing the best of traditional Mexican ingredients and flavors with new twists and techniques. As a vegetarian, I was also pleasantly surprised by the abundance of options. Spots like Japanese fusion Los Loosers and the row of vegan food stalls like La Pitahaya Vegana at La Quimera had me addicted to the bursts of zest and innovative takes on Mexican food. The heart and soul of any cuisine is best experienced on the streets and Mexico City takes it to another level. 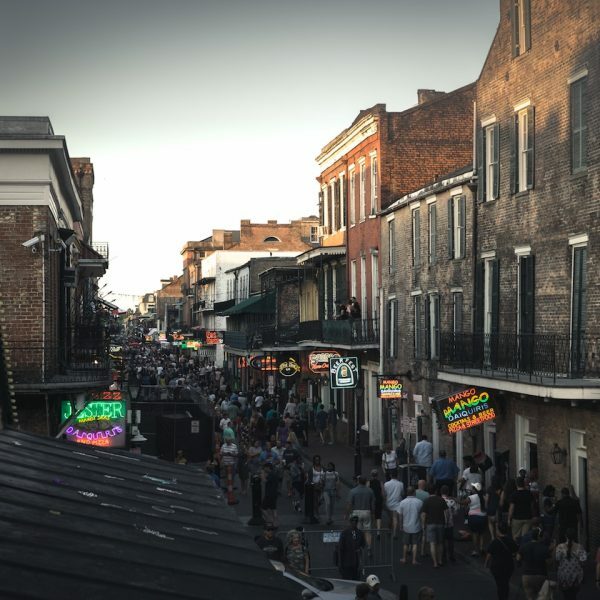 Mouthwatering flavors and aromas abound on every street corner where locals line up at all hours of the day. 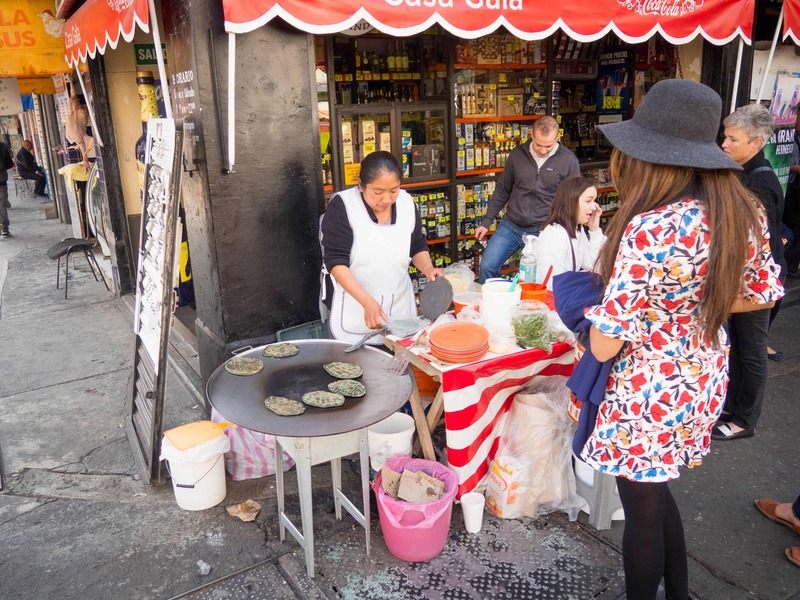 I opted for a street food tour with Club Tengo Hambre to experience the best of what Mexican cuisine is renowned for – quesadillas, tamales, and tacos made with fresh, local produce topped with spoonfuls of colorful, fiery salsas. If like me, you have a perennial craving for spicy food, you are in for a real treat! 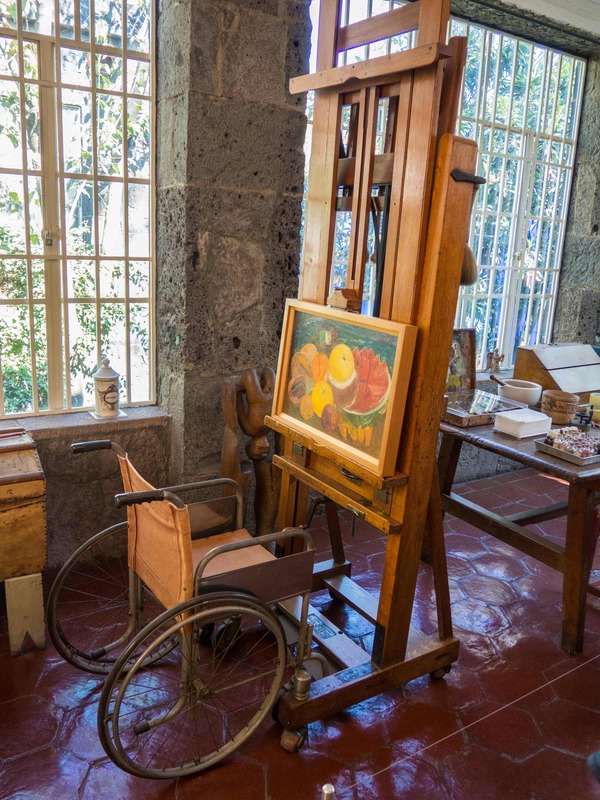 I will admit that while I knew Frida Kahlo as an iconic figure, I didn’t know the depth of her tumultuous life until I visited the Frida Kahlo museum in the picturesque Coyoacan neighborhood, about 8 miles from Centro. Walking through the beautifully maintained Casa Azul, Frida and Diego’s home, you get a glimpse into the vibrant and volatile lives they led. The curators have done an exceptional job of distilling Frida’s life – the passion, the angst, the agony – into exhibits that flow seamlessly from one corner of the house to the next. Casa Azul is well worth a visit to delve deeper into understanding the powerhouses that Frida and Diego were. If you don’t buy tickets in advance, make sure you get to the house by 9:45am to line up for tickets before the crowds hit. 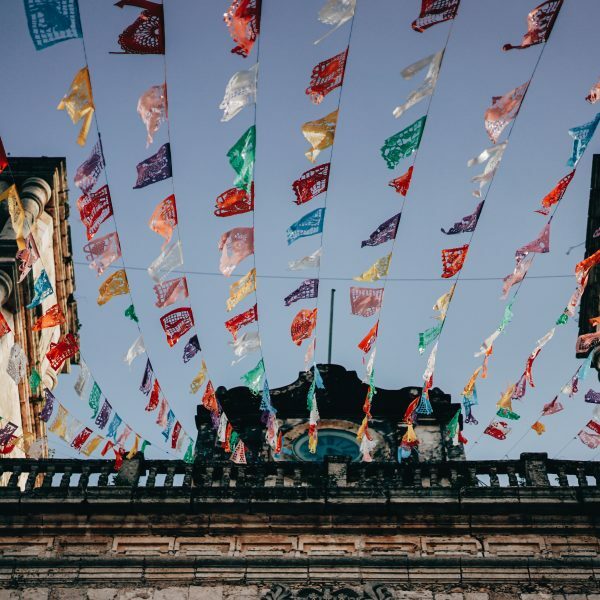 After the museum visit, you can enjoy the Coyoacan neighborhood; head to Mercado de antojitos de Coyoacan for some delectable Mexican snacks. If you are in the mood for a more luxurious meal, walk over to Jardin Centenario, a lovely square lined with restaurants. 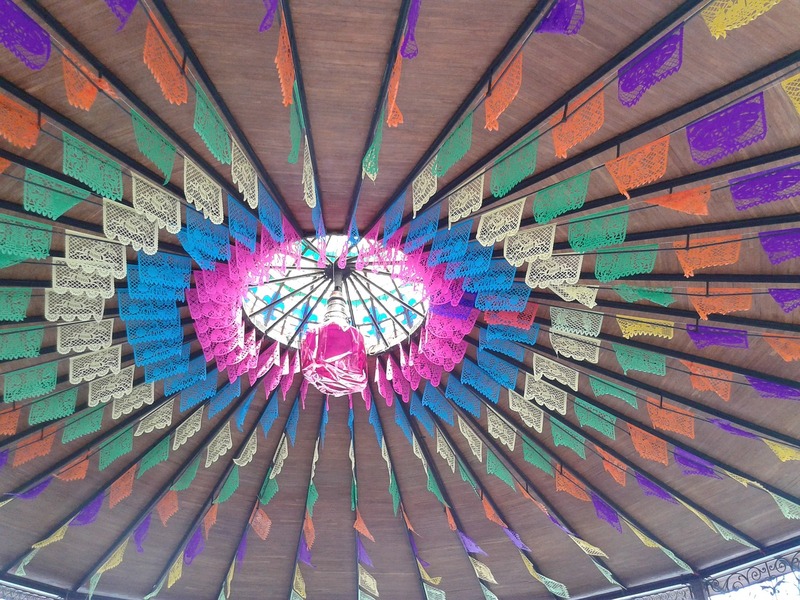 Grab brunch at the Los Danzantes Coyoacan with its eclectic décor and delectable menu. Finally, be sure to grab warm Nutella-filled churros at Churreria De Coyoacan. 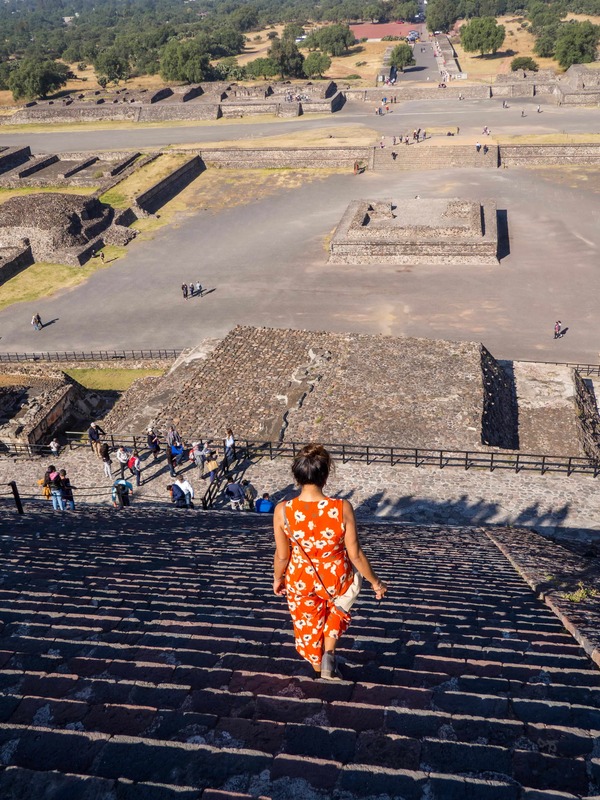 Plan a half day trip to see the pyramids of the sun and moon at Teotihuacan – Aztec name meaning “Place of the Gods”- once one of the most prominent cities of the Western Hemisphere. A UNESCO World Heritage site, it is just 30 miles outside of Mexico City and is easy to get to with or without a tour group. If you opt for a do-it-yourself trip like I did, it’s easy enough to catch a bus from the Autobuses del Norte bus station (look for the sign that says Autobus Teotihuacan). Once you are there, you can easily orient yourself walking down the main street – Avenue of the Dead. It is great that you can still climb the pyramids which is not possible at other archeological sites like Chichen-itza. 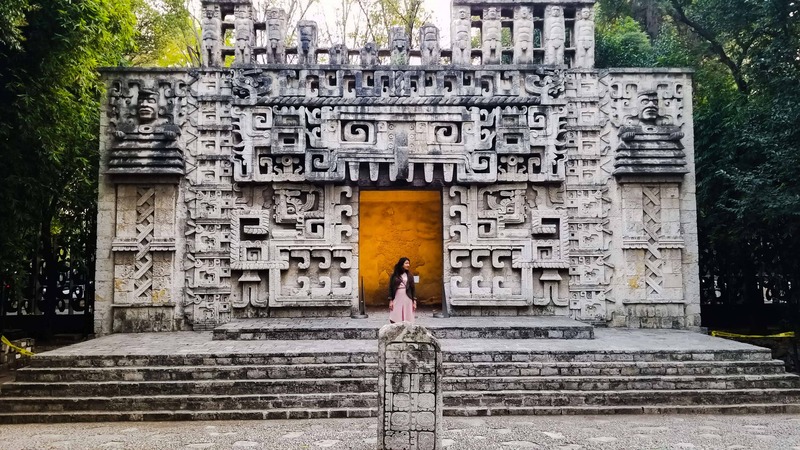 The remains of this Mayan city will take you back to a world we couldn’t possibly fathom now but is enthralling all the same. Be sure to wear comfortable walking shoes and lather on the sunscreen. 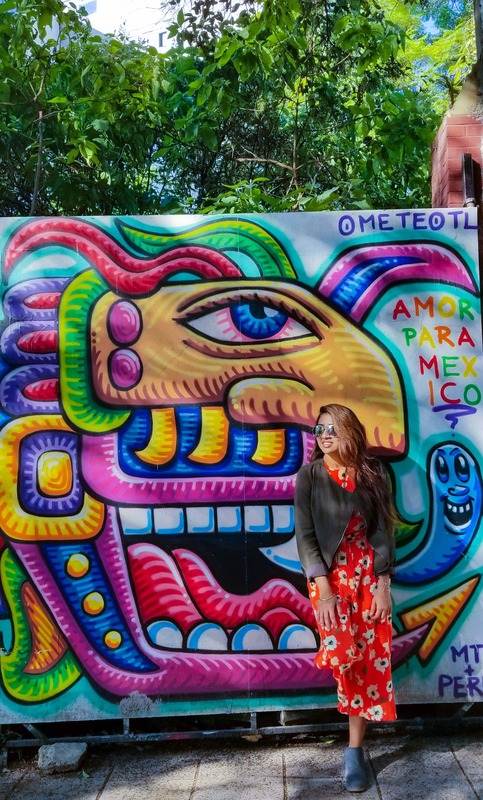 Even if you are not a museum person you will want to check out the Museo de Anthropologie for one of the most spectacular travels through pre-Hispanic history and a journey through the lives of the civilizations that have progressed and been decimated through it. The 23 exhibition rooms spanning 33,000 square meters and civilizations from the Mayans to the Aztecs to the Toltecs are like a passage through time. Some exhibits like the iconic Aztec sunstone weighing around 24 tons and the life-size replicas of temples and tombs are nothing short of jaw-dropping. The focal point of the central courtyard is the El Paraguas (the umbrella) water installation: a single concrete pillar with ornate carvings. Realistically, you could spend at least half a day wandering through the museum and its beautifully landscaped gardens. I love exploring any city by foot and fortunately Mexico City makes it delightful. In fact, it makes it the better option compared to sitting endlessly in traffic. 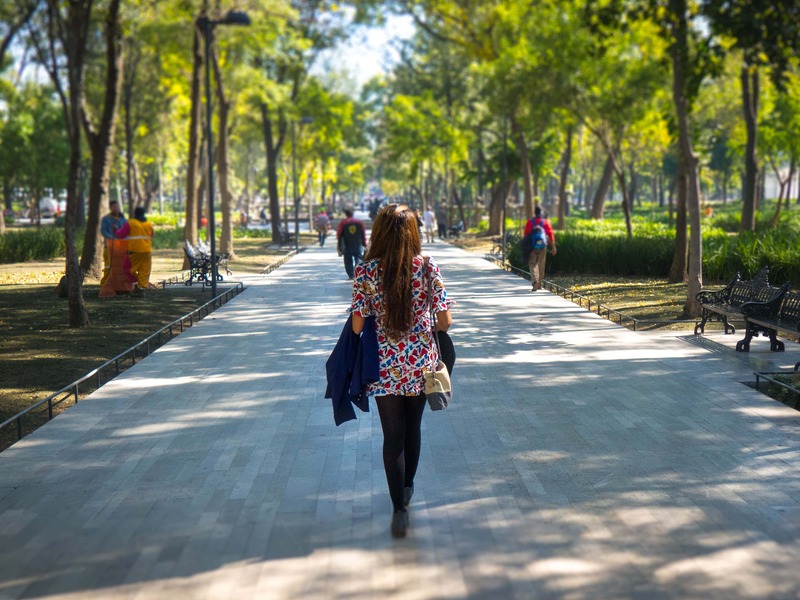 With over 21 million inhabitants, Mexico City’s roads are chockful of vehicles, but it makes up for it with its tree-lined streets and ubiquitous parks. Walk the tree-lined, luxurious streets of Condesa complete with chic restaurants, cafes and parks. Strolling around the central pedestrian walkway on Avenida Amsterdam, you’ll chance upon countless dogs and their hip owners. Neighboring Roma Norte is equally stylish if a bit edgier. Both of these neighborhoods experienced more damage than other parts of central Mexico City in the earthquake in September 2017 causing alarm and concerns for safety. When I was there two months after the earthquake, I found things were a bit quieter than usual but these neighborhoods were still a great place to stroll around. 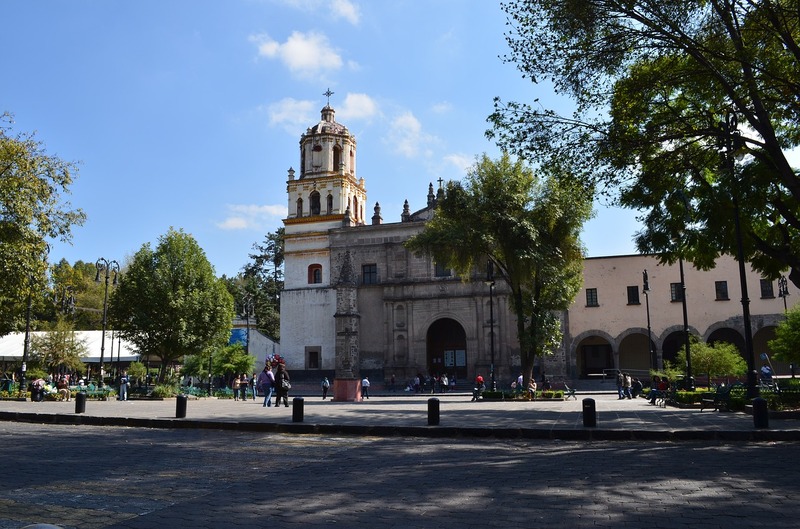 The historic center is equally enticing with its buzzing streets lined with historic buildings and graceful churches. 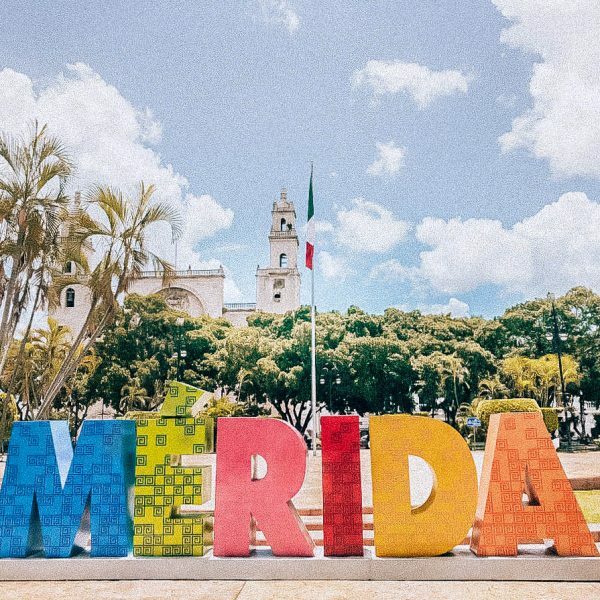 Start off wandering through the lush and expansive Alameda park culminating in the gorgeous art noveau-style Palacio del Bellas Arte. Cross over to see the impressive façade of Casa del los Azulejos (house of tiles). Continue wandering over toward plaza Zocalo, people-watching along the way. In the evening, grab a drink at Bosforo, a hole in the wall bar with serious vibes and abundance of mezcal. Just like mountains offer unparalleled views of the surrounding scenery, rooftop bars are the quintessential city offering to get an aerial view of the urban sprawl. Rooftop bars around Mexico City offer up delicious cocktails, trendy vibes and views that showcase the diverse architecture of the city. In Centro, head to the rooftop lounge at the Downtown hotel for delicious cocktails and views of elegantly aging facades. The rooftop at Hotel Condesa df is a great place to relax during the day with a cucumber mojito in hand. On the rooftop of Barrio Alameda, an eclectic shopping mall full of independent stores, find yourself at the cozy La Azotea at sunset with a beer in hand. If the air gets nippy, you can swaddle yourself with colorful blankets under heated lamps. Have you ever been to Mexico City? We’d love to hear your stories, tips or questions in the comment section below! This was such a helpful post – thank you! My mom and I are thinking of going to Mexico City in the next month, but we are so indecisive because we just want to make sure it’s safe. Did you feel safe while you were there walking around, taking the metro, ubering, etc? Also, how did you find the walking? My mom’s walking isn’t the best, so I want to see if it would be doable or not. Hi Jenna, so great to hear you are heading to Mexico City with your mom and that this post was helpful for you!! I definitely found it incredibly safe to walk around. The metro was fine too but if you want to play it super safe, uber might be best. Using uber was really easy and quite cheap too; the other drawback is getting stuck in traffic during peak hours. I met a lot of young people who were traveling there with their parents so you won’t be alone! As for walking, there are certain areas where it is lovely to walk around: like the pedestrian streets in Centro or the tree-lined streets in Condesa but if that is going to be an issue, the easiest thing to do would be to pick a couple of landmarks/places you want to check out and limit the walking to between those places. For e.g. 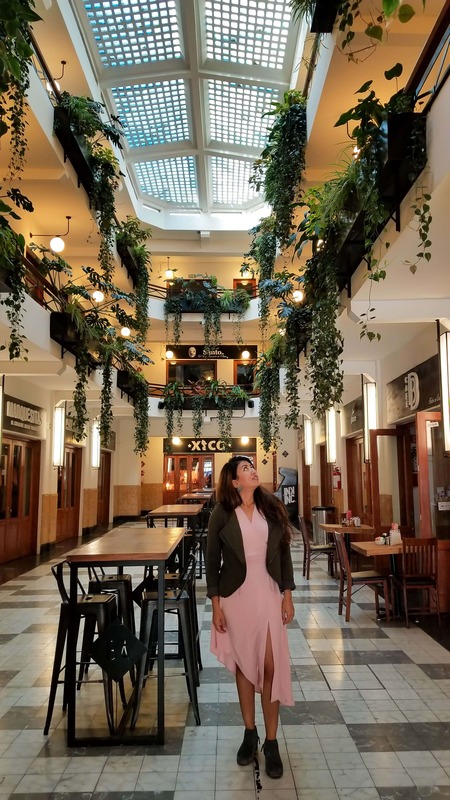 : you could check out Palacio Dell Bellas Artes in Centro and then just walk right over to Alameda Park right next to it, grab a drink at the rooftop of Barrio Alameda and call it an afternoon. 🙂 Hope that helps!